Britax Strollers are some of the best on the market. Strong, lightweight and made to last. It’s not surprising that Britax strollers are very popular amongst parents. If you’re interested in a Britax stroller then we’ve got reviews for the entire range, as well as an easy comparison chart to see if Britax make the right stroller for you and your baby. 2 Why Buy a Britax Stroller? 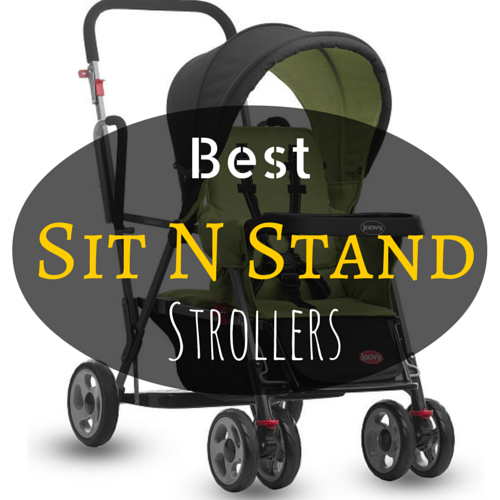 To help you identify the best Britax Stroller this table contains key details about each one. Why Buy a Britax Stroller? There is so much to love about Britax strollers. The most important thing to note is that they’re safe. Britax strollers generally use a 5 point harnesses and are built with tough aluminum instead of cheap plastic. The strollers are also versatile. Britax strollers include the click and go system that allows you to fit a Britax car seat or bassinet onto the stroller base. A car seat adapter can also be purchased for you to secure your own car seat. Britax have an option for everyone, and I find that they make travelling so easy. You can basically use a Britax stroller however you need to, and not only are they versatile, but they will last through the years, which I think is just as important! The Britax B Ready stroller is one of my favorite strollers. Popular for its versatility, this stroller can be converted from a single to a double stroller with the addition of the Britax B-Ready second seat. Therefore, the stroller is perfect for use for almost any small family, or perfect for allowing room to grow. The stroller base can be used to attach either a Britax approved car seat, and other popular car seats with the car seat adapter, or even a basinet. A large basket is found underneath, accessible even when using a second seat due to side zip pockets. A canopy is positioned above, and I found that the canopy offered great sun protection. The Britax B Ready strollers included seat is suitable for a maximum of 55 lbs with 4 recline positions, which lays almost flat. Conveniently for travel, when using with the second seat the stroller is still foldable, however unsurprisingly it is a bit heavy. Parents have a cup holder above although a slightly flimsy one. The B Ready Britax stroller 2015 model has newly designed wheels perfect for walks on rough terrain. Longevity is great as with all Britax products, and I have to agree with other Britax B Ready reviews that this stroller is amazing. Read more about the Britax B-Ready Stroller here. The Britax Affinity stroller is the next top Britax stroller. There are several reasons why this stroller stands out for me. First, I really appreciate the build quality, which is second to none. This stroller is tough! It has leather like trim and is built with aluminum not only giving it a tough exterior but a sleek design. This Britax umbrella stroller features four point wheels with a seat that is reversible supporting up to 55lbs, and with recline and a leg rest the stroller is more than comfortable for long trips. 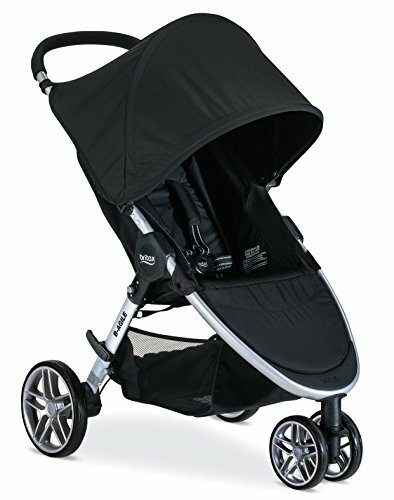 As with other Britax strollers, this stroller the features the click and go feature where a car seat or bassinet can be positioned onto the stroller base. This stroller has a ‘color pack’, which means you choose the color you prefer for the canopy, basket, liners and straps. You can choose from a range of colors, and I particularly like how bright the blue is. The stroller’s adjustable suspension works well for differing terrains, and shock absorbers also make for a smooth ride. This Britax infant stroller is so lightweight, but strong and perfectly suitable for everyday use. My main problems were the small storage basket and that there are no cup holders. However, the handle is adjustable so it is great for taller parents. 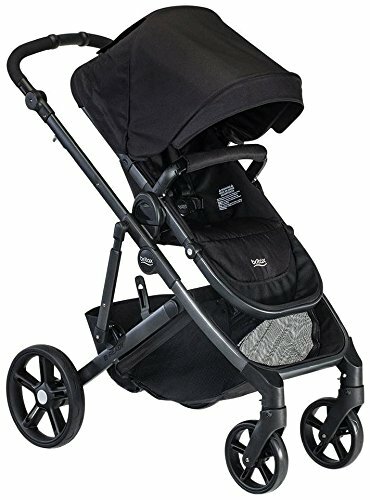 Regardless of these small issues, I still believe it is the best Brtiax stroller for everyday use. For more information about the Britax Affinity Stroller click here. There are two strollers in the Britax B-Agile series, and our favorite here is the B-Agile 3. I love how easy to use this stroller is, and combined with a low weight and strong capacity, it is a great option for travel. 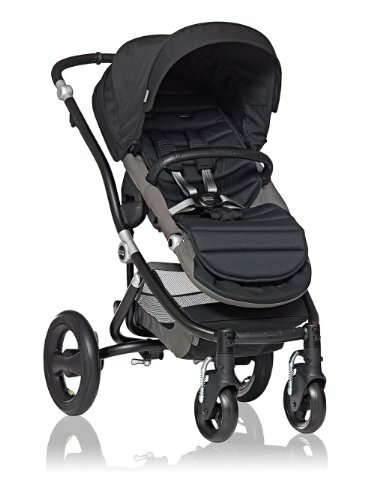 This Britax lightweight stroller is only 16.6lbs! You will find many parents who actually use this stroller exclusively for travel. Britax reviews have noted just how slim and maneuverable this stroller really is. 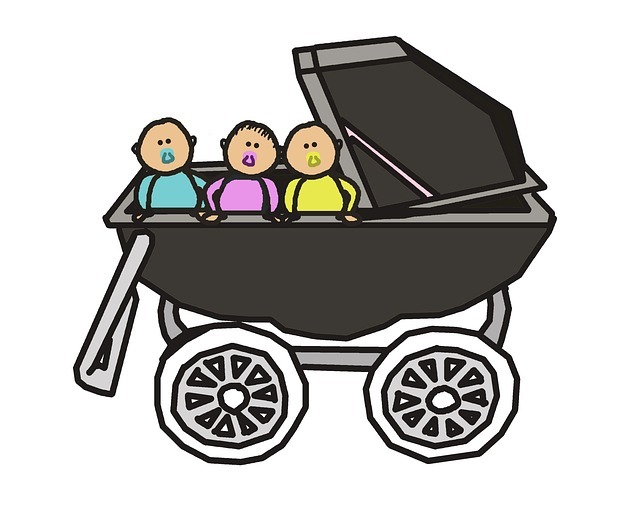 The stroller performs well and is strong and stable. However, it is not a Britax jogging stroller and may not be suitable for rough surfaces. There are a few changes from previous models on this 2017 model. The foot rest is more flat and the seat now adjusts to be fully upright – perfect for older kids. As expected, the stroller folds so easily and compactly. The stroller features a single hand fold lever, and linked rear brakes. An extra large canopy is also found above and secure basket is found underneath. You can also buy it with a capsule in a complete travel system. This is my favorite single option for travel, and although no stroller is perfect for travel this stroller is just about as close as you can get. 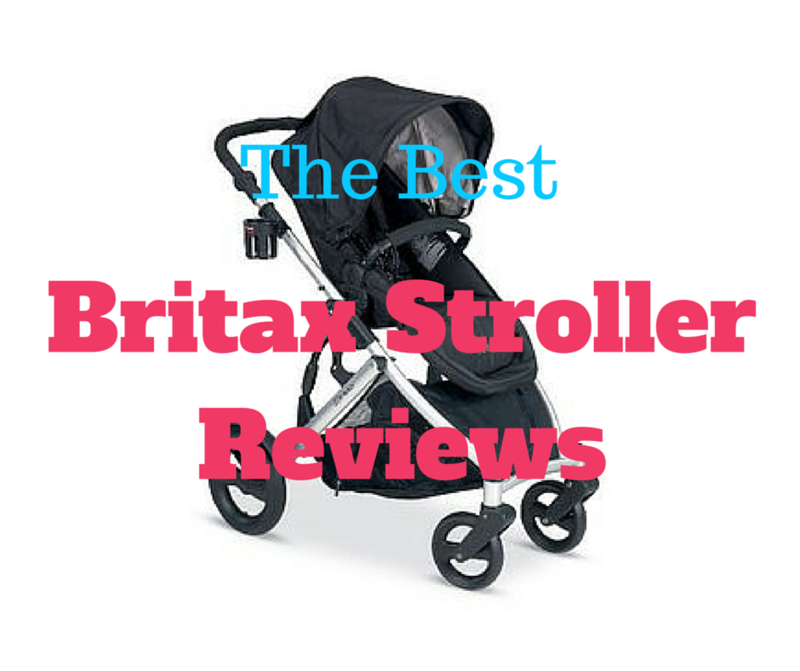 Click here for more reviews and information on the Britax B-Agile Stroller. Luckily for parents with two babies, the Britax B-Agile comes in a double! This Britax double stroller has been designed with seats that sit side by side. Britax have done well creating a double stroller that isn’t too wide, and the stroller can fit through a standard door size. If the Britax reviews are anything to go on, you will see just how popular this stroller is with parents. 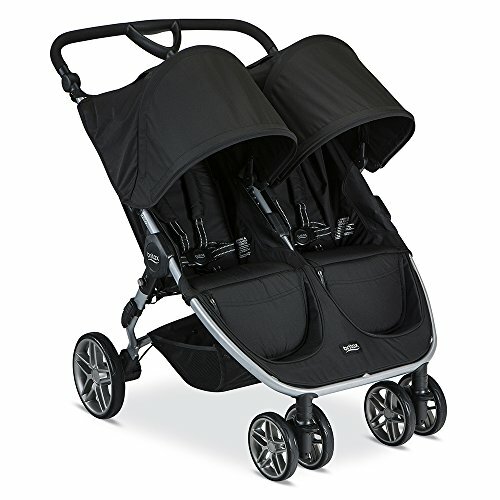 For a double, this Britax double stroller is so lightweight, even more so than some singles. The Britax double strollers seats can hold up to 50 lbs each, making it a strong and reliable stroller for such a lightweight! With click and go you can fit a car seat or bassinet, however only one car seat can be fitted at a time. 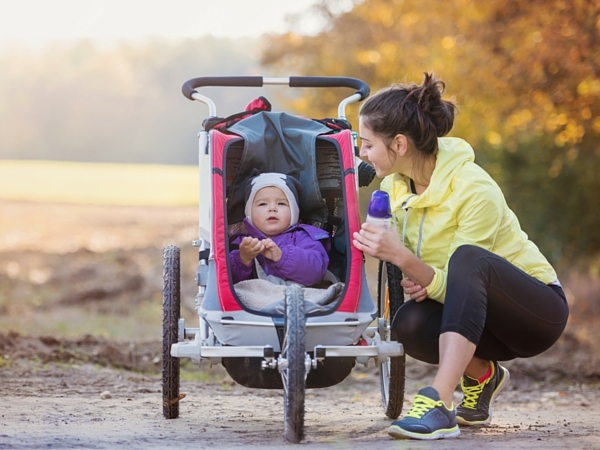 The stroller is great for families with a younger child. The rear wheels of this stroller can be locked, and there is all wheel suspension for a smoother ride. The basket is a great size with side zip pockets for easier access. Handles are also easily height adjustable for taller parents. Britax strollers reviews have noted that the B-Agile double Britax stroller fits in most trunk sizes without an issue, which can be a problem with other doubles. As with the above stroller, I can see myself using this stroller for travel, keeping it simple and stress free. I love it! Read more about the Britax B-Agile Double Stroller. If you want more double stroller options there’s also a great comparison of double strollers, including the Britax B-Agile Double Stroller. There’s also a comparison of strollers for newborns.